In some streams of North American Jesus research there was and is a clear tendency to promote real or postulated extra canonical tradition to a rank prior or parallel to the Jesus tradition of the Synoptics and the Johannine writings (H. Koester; J. M. Robinson; J. D. Crossan; B. L. Mack). The goal of such constructions is clearly to break the hold of the canonical gospels and to establish an alternative picture of Jesus based on other interpretations of the tradition. To do this, frequent use is made of the lust for sensationalism (Jesus and women; homosexual love; Jesus as prototype of alternative lifestyles; non theological, undogmatic beginnings of Christianity). Mere supposition and unproven postulates are asserted as stimulants for a debate intended to have public effects. Such constructions do not stand up to historical criticism, for neither the existence of a Secret Gospel of Mark nor a Signs Source can be made probable, and the Gospel of Thomas belongs to the second century. Schnelle, U. (2009) Theology of the New Testament. Baker Academic, Grand Rapids, p. 65. These ideas are part of the Athenian stock and used by Aristotle in his argument on the virtues in the state. He explores the differences and common ground between men, women, slaves in the larger context of the virtues of the ruler. It can be seen that these affirmations are echoed and shared in what Paul writes several centuries later in 1 Corinthians 11:7 and 14:34. Phrases like 'the woman is the glory of man,' and 'they are not permitted to speak' are part of the similar stock of ideas peculiar to the hellenistic vision, about the life in the city/state, as we have it in Aristotle. 2015 Annual Karl Barth Conference Opening Lecture, Princeton Theological Seminary. The lecture given by Jürgen Moltmann: 'Predestination: Karl Barth's Doctrine of the Election of Grace' can be viewed HERE. The first word of the Bible is about the Creator and the creation. This is the fundamental affirmation on which all the other affirmations are based. The world is the house of the Great King and Great Artist. I share with you my thoughts on some of my daily readings. These days I read Emil Brunner (Unse Glaube, 1935). I make available these notes because I believe that we have many things to learn from this theologian, even if we disagree at certain points (i.e. the character of revelation, infallibility of Scripture). Enjoy reading! 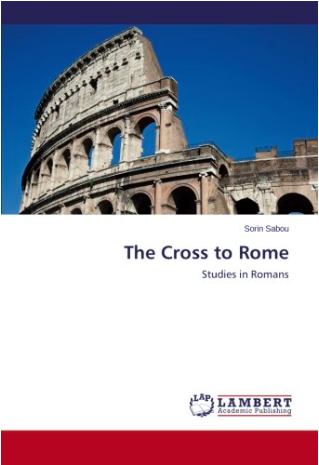 This collection of studies is a continuation of my doctoral research; my continued interest is in the area of Early Christianity's understanding of the death and resurrection of Christ, and the vast variety in which this eschatological event shapes the world of humanity. The Early Christians took their 'good tidings' to Rome. Their main spokesman was Paul, the apostle to the Gentiles. 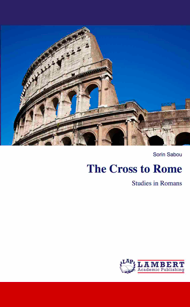 In his Letter to the Romans he touches on the theme of the cross. This is the subject of this collection of studies. The point of Hofstadter’s distinction between ‘What would it be like for me to be X’ and ‘What is it like, objectively, to be X’ is based on the observation, which he formulates as a question, of ‘How can something be something that it isn’t?’ (Hofstadter 1981, 409). This question is deepened by the other fact that both these two ‘things’ can have experience (Hofstadter 1981, 409). And then, he continues by offering, perhaps, the final blow, by bringing a third party into the equation: Like for whom? (Hofstadter 1981, 409). Is it for us, the perceivers, or, again ‘objectively’? According to Hofstadter this is the ‘sticking’ point of Nagel’s article (Nagel wants to know if it is possible to give a description of the real nature of human experience in terms accessible to beings that could not imagine what it was like to be us.). Hofstadter says that this is ‘a blatant contradiction’ (Hofstadter 1981, 409). It seems that no one can know objectively what it is subjectively like (Hofstadter 1981, 409). Why the question of ‘Being’ has been forgotten? Husserl admires Descartes and follows him up to a point, but from there on he goes on a different path. Husserl goes that far that he is willing to speak about phenomenology as a new twentieth century Cartesianism (Husserl, 1973, 3). According to Husserl the themes in Meditations are timeless and can give birth to what is characteristic of phenomenological method (Husserl, 1973, 3). 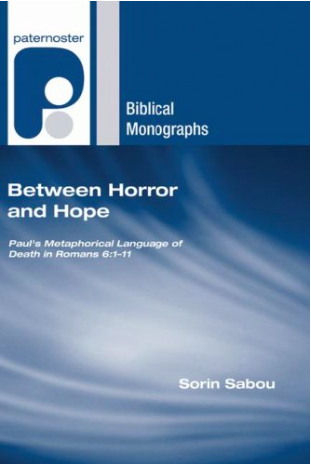 Platform edited by Sorin Sabou, PhD (Brunel University, London School of Theology) Associate Professor of Theology at Baptist Theological Institute of Bucharest. Everything published on this platform follows the Turabian style (Author, Date, and Bibliography).